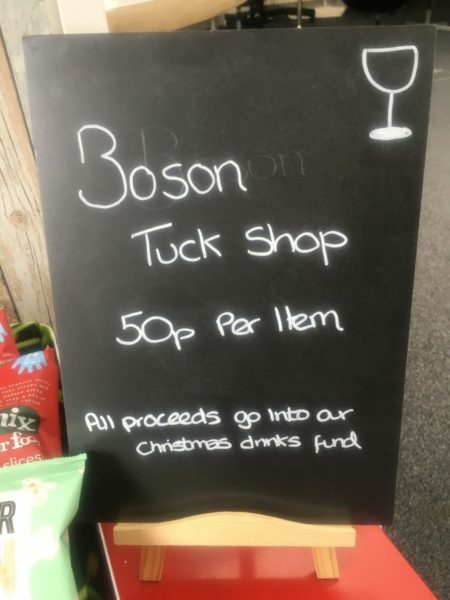 Here at the Boson HQ, we’ve got our very own tuck shop! As you’ve probably heard, we moved into our new office at the beginning of May. We’re still in the process of developing our office into a fun, creative space for both the team and our clients. Being settled into our new office, the team decided to put their personal budgets together and finally open a long awaited Tuck Shop for anyone that visits the Boson offices as well as team members. If you’re not aware, we give all of our team a personal budget to spend on the company each month, encouraging our team to grow and develop with us. This month it was decided that a Tuck Shop would be very beneficial! 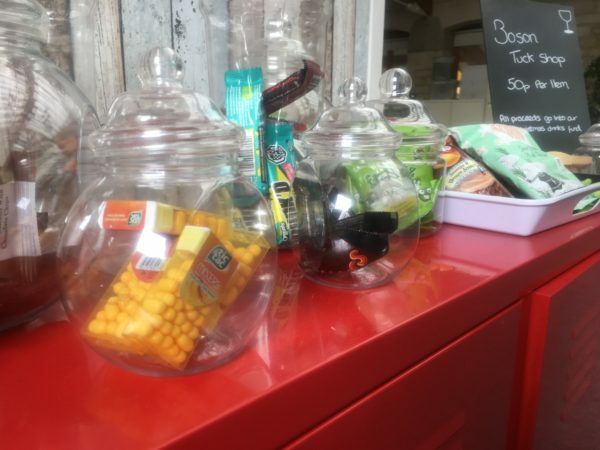 There’s a whole range of snacks in our Tuck Shop, as well as chocolate and sweets, we’ve included a range of healthy snacks. All the money raised goes towards the drinks at our Christmas party at the end of the year. It’s a great example of investing money now for a great outcome! We’re all very much looking forward to the Christmas festivities! It’s another reason to visit our lovely new offices in Bradford-on-Avon (and contribute to our Christmas drinks fund!) If you haven’t already been in, make sure you get in touch to come and see us!